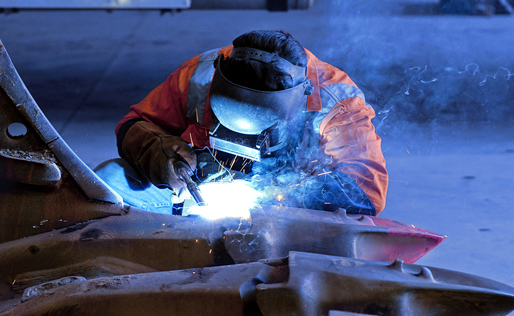 Drastically Reduce Your Workers' Comp Rates, Receive Welding PEO Quotes Today! A PEO (or employee leasing company) is an outsourcing service that manages payroll, Human Resources, and workers' compensation insurance for small to mid-sized business owners. These companies allow employers to focus on running their business while the PEO handles their administrative tasks and paperwork. And as an added benefit for small business owners, employee leasing companies can provide group health coverage and supplemental insurance plans. The business owner retains full management of his/her employees- including the ability to hire, compensate, discipline, promote and fire employees at any time. The PEO handles the tax liabilities, workers' compensation administration, and all payroll related tasks. With this outsourcing benefit, the employer is left with fewer administrative tasks- freeing up time to focus on sales, marketing, and growth. Obtaining workers' comp insurance at a reasonable rate can be a big challenge for employers. Thankfully, a PEO employee leasing company can be the solution to this issue. These programs improve the employer's cash flow by eliminating down payments that are associated with workers' comp. Plus, the premiums may be paid on a pay-as-you-go pay basis. Our team at ELQ has been providing PEO solutions since 2001. We'll be your best resource to provide a provider that will best fit your business. Professional Employer Organizations are different in their specialties, terms and pricing- and we save you the time and effort required to interview each one. Just one call to us covers all of the bases, because we can quickly match you with a provider that meets your needs. Plus, our negation and leverage ensure you get the BEST pricing. To learn more about the benefits of a PEO service, give us a call. Our success comes from listening to your needs, then providing a solution that delivers what you need.